Sleep in style with the Damasse Bed by Rugiano Interiors. Featuring a curved headboard with bronzed brass detailing, the Damasse Bed harks back to the golden age of glamour. Available in either leather or fabric upholstery, the capitonnè is made using only the finest materials. The Rugiano brand is synonymous with timeless elegance with a style that originates from the heart of Italy. 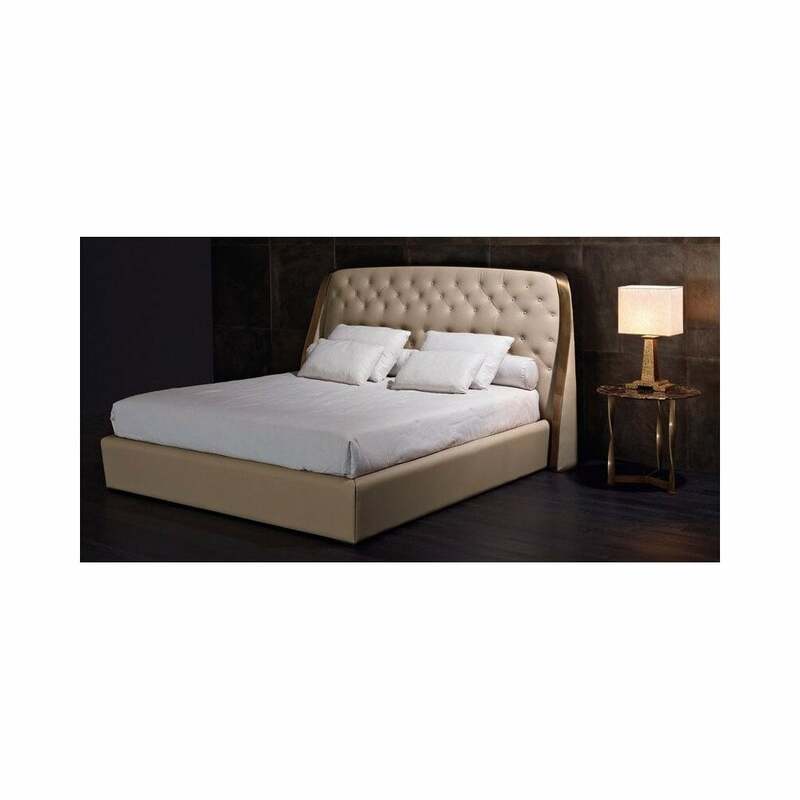 This low bed will bring Hollywood glamour to your bedroom creating a striking focal point within your scheme. Choose from a range of finishes in colourways from deep red to forest green and sophisticated stone. Pair with soft, cotton sheets for a chic hotel-inspired look. Available in two sizes, make an enquiry for more information.